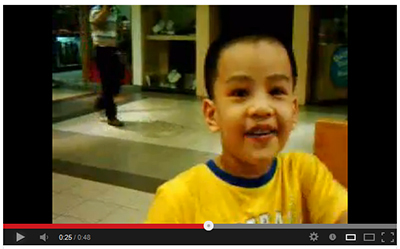 I was searching for a blog post idea when I chanced upon an old video of ours while we were at the mall. There was background music and I think someone was playing a guitar. It could be that the one playing the burswood guitar was using a mic that’s why the music was loud enough to be captured in the video. The kids were still small and I was a lot slimmer then. It was fun seeing this video again. Good thing I was able to upload it on You Tube. This entry was posted in Family, Music and tagged musical instrument, old video, old youtube video, video of cute kids on December 11, 2016 by Yami. As you learn how to play an instrument, music takes on a new role in your life. The more you learn, the less you realize you know. You have probably listened to a song and wondered “How can I write something like that?”. An important tool to learn how to do just that is music theory. Music theory is the science of rationalizing music. Through it, we can understand what gives a song its character. For centuries, theorists have studied chords, intervals, and melodies. Music theory instruction is today one of the capstone courses of a music degree. Many graduates take it for three years while they are in school. 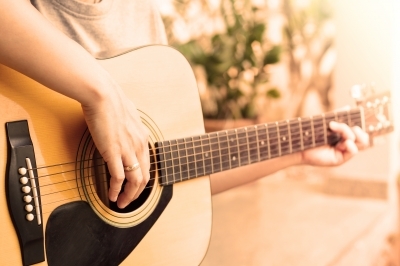 Many “self-taught” musicians eschew the process of learning it. Their ear is the tool they think they need. These novices are making a crucial mistake. Learning theory actually improves your mind’s ear. It can be frustrating because there is no end to the study of theory. You can’t know everything about music. Knowledge of the science behind music helps musicians express themselves more fully. It expedites the process of getting a piece of music in your head down on paper the way you hear it. Without a good foundation, you could spend hours just trying to figure out what you are hearing. A good background in music theory gives you the ability to focus on the details when writing. Improvising is a huge part of American music. It started with jazz, but now soloists in every genre do it. It is the act of creating music on the spot with no preconceived idea. Of course, there are people that have a natural talent for it. Even they can benefit from applying theoretical knowledge to the natural ability they already possess. There are a few ways to improve music theory knowledge. A lot of books have been written about the topic. Companies like C.R. Carole music offer music theory workbooks. They offer the most basic music theory instructions all the way up to advanced level courses. It can be a tricky topic to learn at first. So, it’s a good idea to hire a private instructor to help with your studies. Private teachers are professionals with a vast amount of knowledge on the topic. They will make the process of learning theory go much quicker. When you understand the mathematical concepts behind music, your relationship with it is much more rewarding and fruitful. This entry was posted in Music and tagged learn music theory, music, musicians on December 8, 2016 by Yami. I have written about this list before but it can still provide some insights on what to give your picky college students. You can add to this list. Camera – This is probably for those who like arts and taking pictures. A good book – There are still a lot of people right now who cannot put down a good book. A college student who is supposedly more serious will appreciate this. USB flash drives in different designs – There are some people who just cannot resist the unique designs of the USB. Accessories for Gadgets – College students are usually busy and would like to keep their gadgets protected with the right accessories. Journal – A lot of people would not admit it but they still write their thoughts on paper. usb piano keyboard – This is perfect for those who love music and music gadgets. These things will surely be appreciated. This entry was posted in Gift idea for kids/teens, Music, Occasion/Event and tagged gift ideas for college students on November 29, 2016 by Yami.